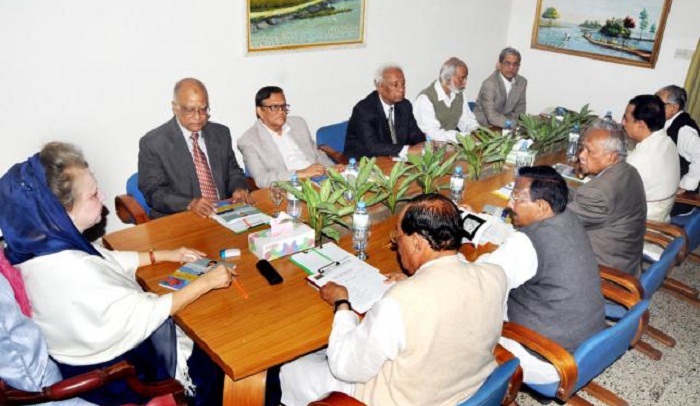 The Bangladesh Nationalist Party (BNP) chairperson Begum Khaleda Zia on Thursday said that there will be no changes in the declared committee ending all hearsay. The BNP chief made this statement at the maiden meeting of the newly formed standing committee held on Thursday night at her Gulshan office, said standing committee member who attended the meeting. Though, shortly after the announcement of the committee, the party men who did not get desired posts vented their anger and some of them have resigned as well, Khaleda Zia remained strong in her decision. After the meeting, BNP leaders said there is no chance of increasing the number of party’s standing committee members to accommodate more leaders. They, however, said the two posts of the standing committee which remain vacant will be filled up soon. The meeting observed that some 40 posts in the executive committee will be vacant if ‘one leader one post’ policy is applied strictly and then 40 aggrieved leaders could be accommodated in the committee. The meeting began at 9:10pm at the BNP chairperson’s Gulshan office with Khaleda in the chair. It is the first meeting of the party’s newly formed policymaking body. On 6 August, BNP announced its full-fledged executive and standing committees, nearly four and a half months after its national council held on 19 March.